Has there been another recent book whose backstory more perfectly proves its point? You can read about that in many other venerable publications, but you will be missing the real gifts of Love Without Limits if that’s all you know about it. You’d miss the carefully crafted prose wherein the literal writing embodies the ideas it is called to represent. You’d miss the moments when the author’s tears from the writing page seem to leap onto the reader’s face. You’d miss the deft weaving together of Martin Luther’s theological themes with discussions of things like Black Lives Matter, trans* inclusive practices, Fargo winters, and biblical interpretation. You’d totally overlook the fierce soul laid bare page after page in a way that compels connection across boundaries and borders. Jacqueline Bussie is my dear friend so I’m not going to pretend I don’t have a personal connection to this book. With that being said, I am completely confident in asserting that Love Without Limits is one of the most compelling and relatable pieces of public theology I have read in a long time. Chapter Four, “Wearing the Wrong Nametag/Grandma Perkins” serves as my case in point. In it, Bussie shares a deeply personal story about her own naming and misnaming over the years to make the ultimate point that “love and right-naming go together like a bee and blossoms.” Naming and name-changing are significant biblical themes, of course, and Martin Luther’s assertion that a theologian of the cross calls a thing what it is forms an intellectual and theological frame to this chapter. But personal stories are the heart of this book, illustrating in tactile detail particular experiences from which love lessons are drawn. In the case of naming, Bussie talks about how her grandmother always called her by her middle name, Aileen, for reasons that remain mostly mysterious. 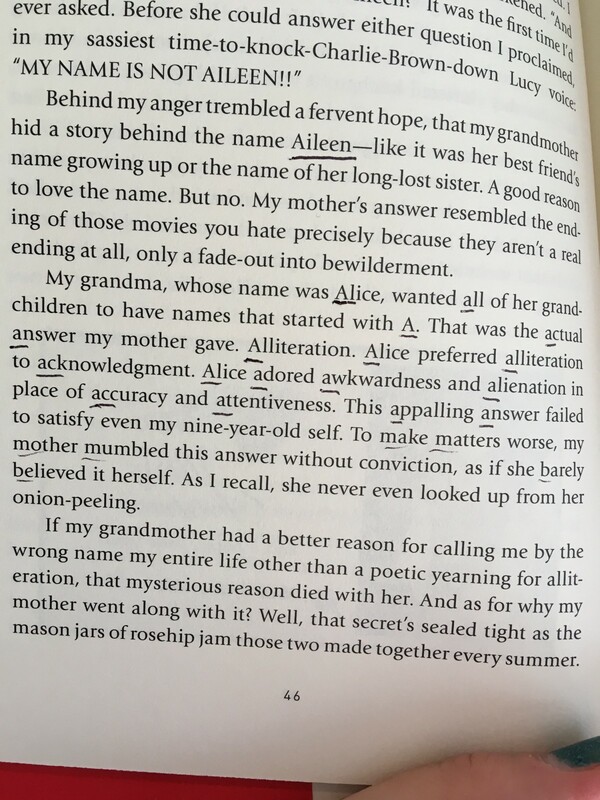 I say mostly because through a profoundly moving practice of left-hand (non-dominant hand) writing, Bussie taps into something of her grandmother’s spirit reaching this insight: “other people named over me.” That calling this tiny grandchild Aileen was a way that she, Alice, could exert some power in a world that afforded her rather little. Bussie’s own journey of naming, like attempting repeatedly to shed the diminutive nickname that she never claimed for herself, Jackie/Jacquie, draws on a well of understanding articulated as far back as Genesis that names are power. As she says, “right names save lives” in many cases. Here is where a key connection and even perhaps qualifier on the book’s title matters a great deal: “To love without limits does not mean to live without limits.” This is a new gloss on the old idea from feminist theologian Valerie Saiving Goldstein that Bussie describes, namely that for some people (women in a patriarchal culture), the fundamental problem is not too large a sense of self (pride) rather it is too small a sense of self. The problem isn’t too much power, it’s too little. Thus, for some people, an exertion of power and a setting of limits is life-giving and soul-saving. This matters. Loving without limits doesn’t mean that anything goes, that you have to tolerate misuse and hate and words that kill. Love must include, and maybe even starts with, oneself. “Love your neighbor as yourself,” Bussie reminds us that Jesus exhorts in Mark 12. It matters because we still live in a culture that tells too many people they are not worthy of love, people who internalize messages devaluing their humanity because of their skin color, their gender identity, because of who they love and what they look like. 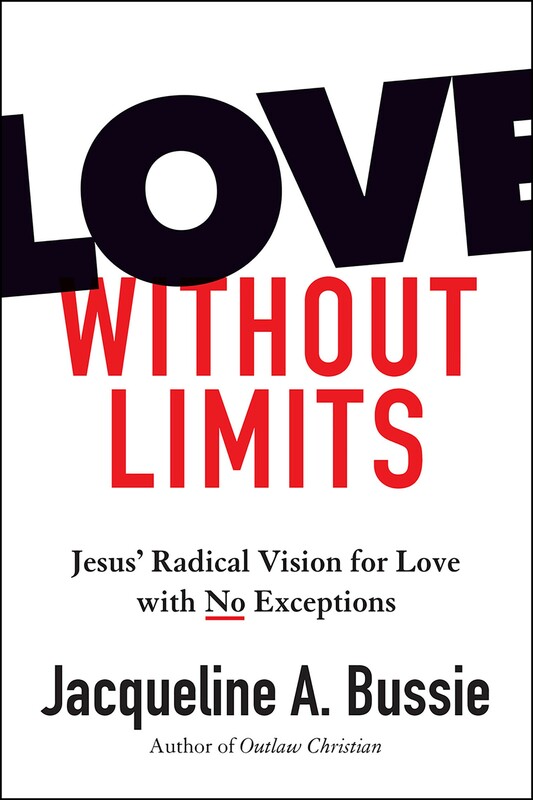 And yes, this is what led to the book’s backstory, a rejection that proves its thesis and highlights its subtitle: “Jesus’ Radical Vision for Love with No Exceptions.” It’s radical because it’s hard, and especially because it got harder in the past few political years. But make no mistake: The gift of Love Without Limits is the words on the page, the scene of Matt dancing with Charlotte, the Florida girl finding Fargo and herself, and the spirit of Alice breaking the limits of death itself to speak in love to Jacqueline Aileen Bussie and to those of us with the opportunity to read her words today.